Every year on the first Sunday in November, the streets of New York City fill with thousands of eager runners. This year was no different. Fan-favorite professional runners like Shalane Flanagan and Bernard Lagat sped through the city in the 48th TCS New York City Marathon on Sunday, Nov. 4, including first time and veteran marathoners from all around the world. Over 50,000 runners crossed the finish line in Central Park West, two of them students at Fordham University at Rose Hill (FCRH). 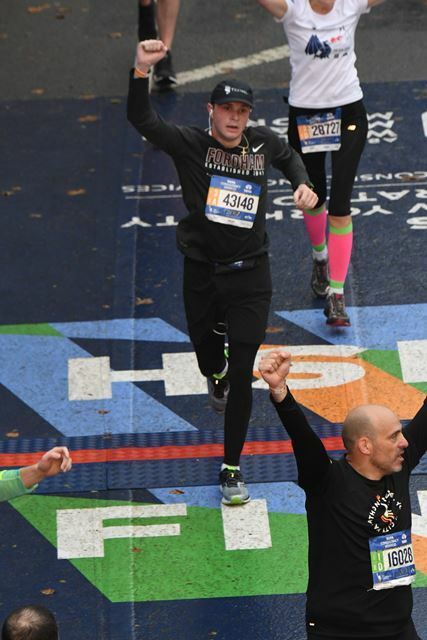 Caroline Donahue, FCRH ’19 and Zach Watterson, Gabelli School of Business at Rose Hill, (GSB) ’19, took to the streets of New York City and conquered 26.2 miles on the sunny Sunday morning. Neither Donahue nor Watterson were new to the New York City Marathon. Both students ran for the first time in 2016. Donahue went back for her second round this month, and Watterson, who also ran in 2017, for his third. The two runners went into this year’s race with not only knowledge about the course and the sport, but also with new goals they had set for themselves. “I didn’t really set a goal for the first one,” Watterson said. He finished 2016’s race in four hours, six minutes, and 37 seconds but knew he eventually wanted to go under the four hour-mark. In 2017, due to less than ideal weather, he ran just 17 seconds over his original time. This past October, Watterson completed the Chicago Marathon in three hours, 59 minutes and 11 seconds, coming in just under four hours and he hoped to do so again a month later in New York City. Zach Watterson is a senior at the Gabelli School of Business at Rose Hill. Both Donahue and Watterson ran in 2016 almost on impulse. “If I remember correctly, I decided to run the marathon on a somewhat whim,” Donahue said. 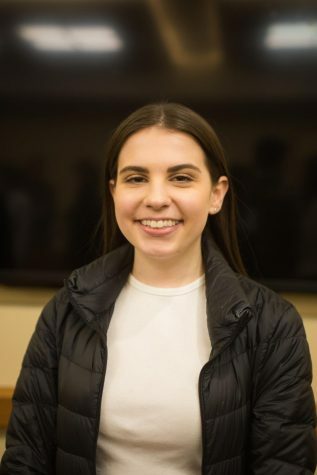 “I love conquering challenges and trying new things, and I figured I should take advantage of as many New York opportunities as possible.” Watterson was in a similar situation in 2016. “The way the New York City Marathon used to be set up was, if you didn’t get in for the first three years you tried for in the lottery, you automatically got in the fourth,” Watterson said. “So, I applied through the lottery the first year  and ended up getting in the first year I applied.” He also applied for the lottery in 2017 and got in. This year, instead of entering the race through the lottery, Watterson ran with a charity. Fitting marathon training into an already busy schedule is not something college students typically have to figure out. Having run three marathons prior to this year’s race through the five boroughs, Watterson said marathon training is “an all year thing.” When it comes down to it, though, he said “it’s all about discipline.” The senior Gabelli student fit his long runs in on the weekends and also mixed in a lot of cycling. What was different about Watterson’s training situation this year was that he trained for and ran the Chicago Marathon before running in New York. “I thought of the Chicago Marathon as my training,” he said. “My long training run for New York, if that makes sense.” Instead of continuous intense training leading up to New York, Watterson used that time to rest his body. 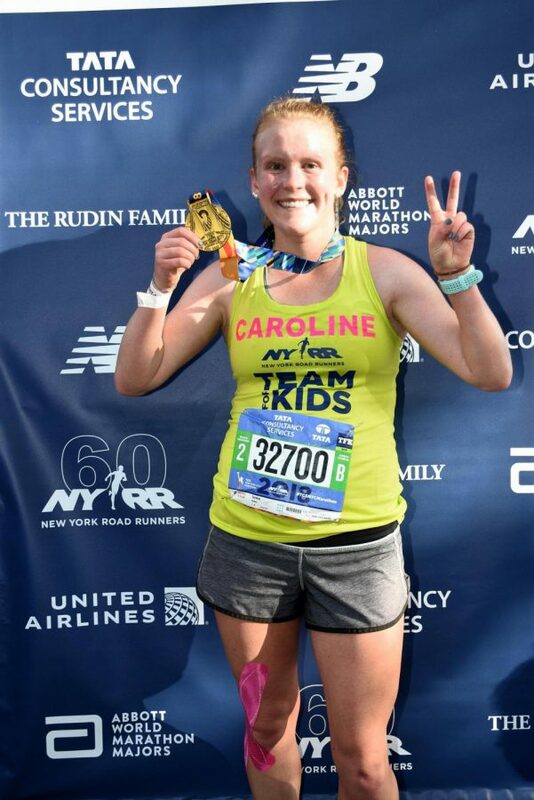 Caroline Donahue is a senior at Fordham College at Rose Hill. 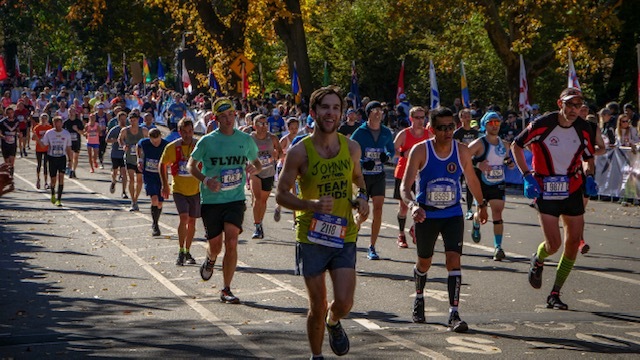 The New York City Marathon is not only for serious runners. It is the largest marathon in the world, attracting almost 2 million spectators every year. Advertisements for the iconic race pop up on buildings and in subway stations throughout the city in the weeks preceding it, many of them with the slogan, “It will move you.” Whether the marathon literally moves you for 26.2 miles of pure endurance from Staten Island to Manhattan, or it prompts you to walk from Fordham Lincoln Center to Columbus Circle to watch the greats battle it out through the final miles of the race, if you decide to be a part of the New York City Marathon, it will move you. This year’s women’s race was won by four-time-winner Mary Keitany of Kenya, who finished the race three minutes ahead of the pack in two hours, 22 minutes and 48 seconds. Vivian Cheruiyot, also of Kenya, finished second. The american 2017 winner, Shalane Flanagan finished third in two hours, 26 minutes and 22 seconds, followed by Americans Molly Huddle in fourth and Desiree Linden in sixth. The men’s race was won by the dominant Ethiopian Lelisa Desisa in two hours, five minutes and 59 seconds. Jared Ward of the United States finished sixth in two hours, 12 minutes and 24 seconds.